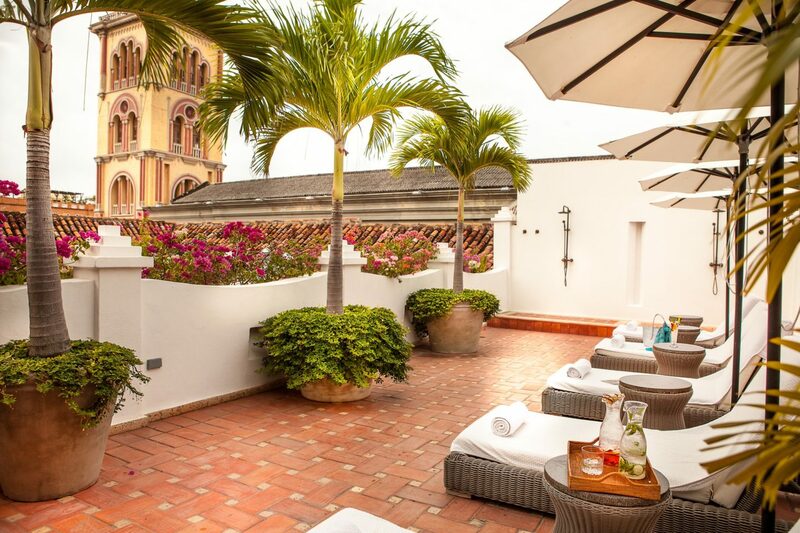 Nestled on Colombia’s Caribbean Coast, the multiple-award-winning Casa San Agustín in Cartagena effortlessly combines an authentic colonial heritage with modern services and amenities that today’s travelers demand. This boutique hotel is big on charm and luxurious touches. 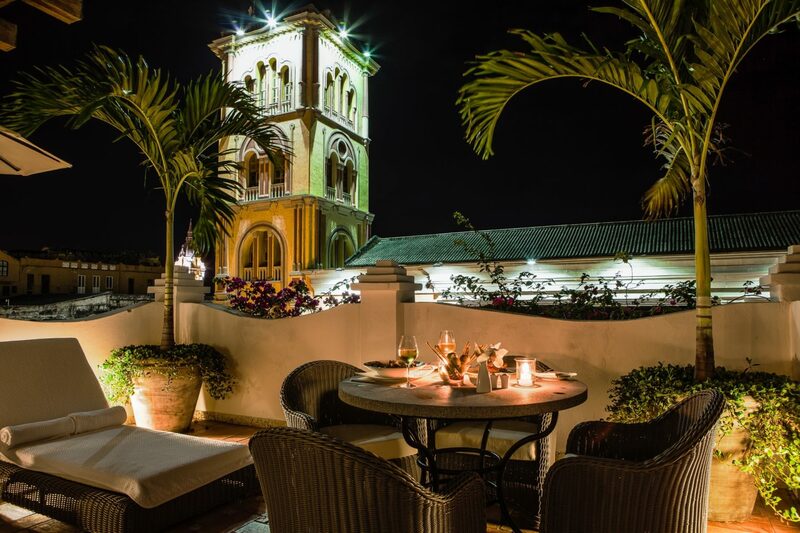 Original frescoes and centuries-old wood-beamed ceilings call to mind Cartagena of the 1600’s, while the 21st century is firmly intact through hi-tech entertainment centers, luxurious Frette linens, citrus-scented Ortigia bath amenities and WiFi. 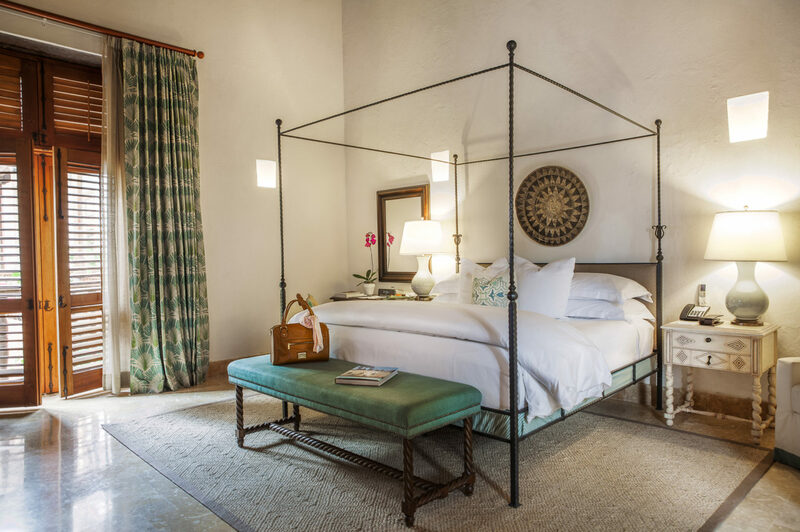 Each of the finely appointed rooms and suites is designed with natural fabrics, commissioned local artwork and ironwork beds; large picture windows and balconies that invite the outdoors in. Outdoor terraces, a library, solarium and pool lend intimacy to the hotel’s village-style layout. Outside, there’s much to explore and a 24/7 Concierge will guide you, including to the must-see walled Old Town, a UNESCO World Heritage Site. Featuring 20 decadent guest rooms and 11 spacious suites, each awash in authentic Colombian style, from the natural fabrics and rich dark woods to the specially commissioned local artwork and ironwork beds. Rooms can be configured into two-or-three bedroom suites. Large picture windows and breezy balconies allow natural light to brighten each space and bring the beauty of nature indoors. Many rooms and suites can be configured into two- or three bedroom suites, and all rooms and suites feature modern amenities including LCD TV, Wi-Fi, AC, luxurious Frette linens and citrus-scented Ortigia bath amenities. 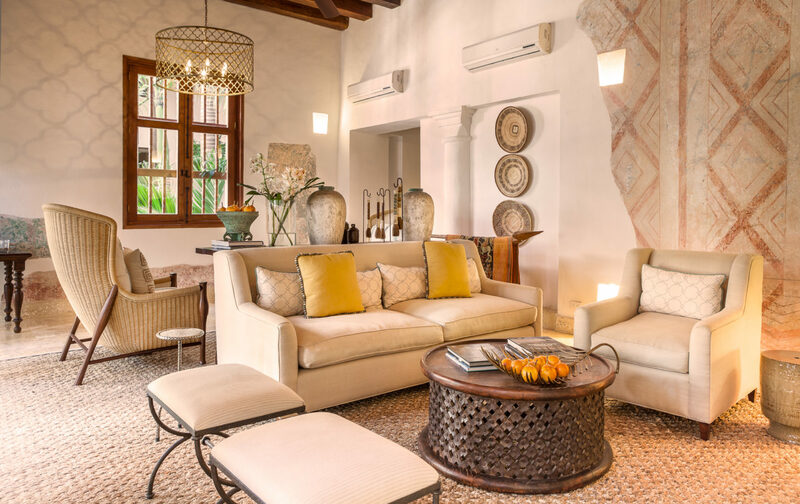 Casa San Agustin is located in Cartagena, Colombia, less than a mile from the 16th -century Castillo San Felipe de Barajas and close to Bocagrande Beach on the Caribbean Sea.